History: Amok is a Giavanese youth whose fiancee Nikita was raped. 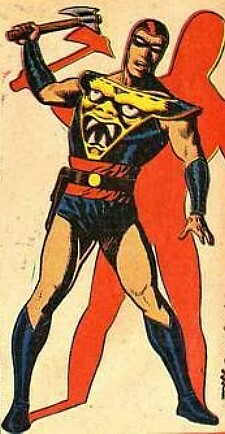 This drives him to become a masked executioner, who wears a "grotesque mask" on the chest of his costume to inspire terror in his foes. 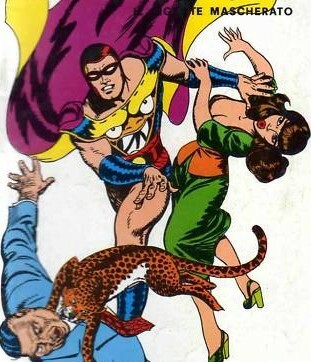 Comments: Amok was drawn by Antonio Canale.